Going to SHOT show, I grabbed a random gun case from several on the floor. That proved a mistake — the case wouldn’t stay closed! Both latches popped off at intervals, and after a while it was held together as much with the three locks as with the latches. The case sides had enough flex that the guns could have dropped out. I didn’t take a heavier case as none of mine had rollers. On the way back, a man next to me on the shuttle bus noticed the pathetic state of my case and suggested that it would be worth replacing. Turned out he was a representative for several companies, including Explorer Cases. A few weeks later, two gun cases and a camera case came in the mail. Today, I put several guns in one of them in preparation for travel. So far, I am quite impressed: these are waterproof, shockproof and very sturdy. They can roll, so I won’t have to lug all that weight. 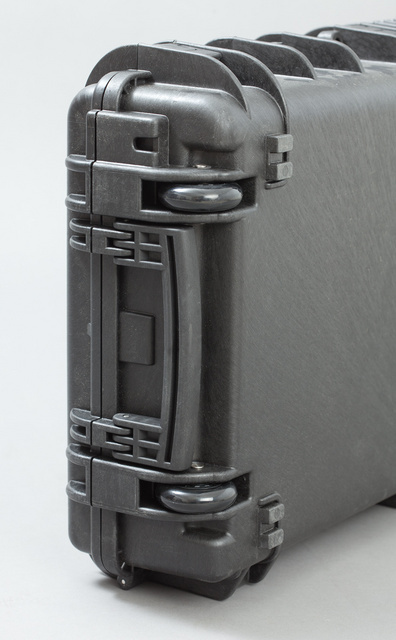 Handles are large and smooth, something that standard cases lack. Now I just need to buy more foam to make pre-configured slots for other weapons. I have a feeling that this type of luggage will become a habit. It will be nice not to worry about scope zero shifting in transit or the case falling apart completely from rough handling. This entry was posted in weapon and tagged case, Explorer, travel. Bookmark the permalink. Throw some Duct Tape in just in case. I kid you not. 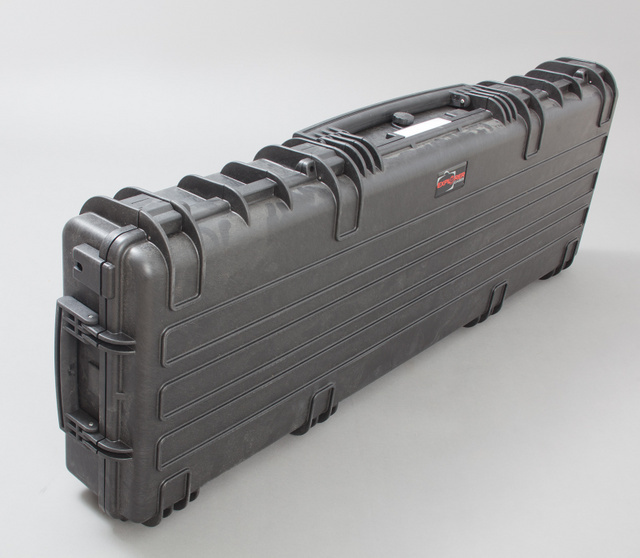 Looks like a clone of the various Pelican rifle cases. Are they competing on price? Not just competitive in price, but competitive in many features as well. Same watertight protection as Pelican. Larger rubberized handles on the Explorer, so that you can wear thick gloves and still be able to slide your hand inside the handles. 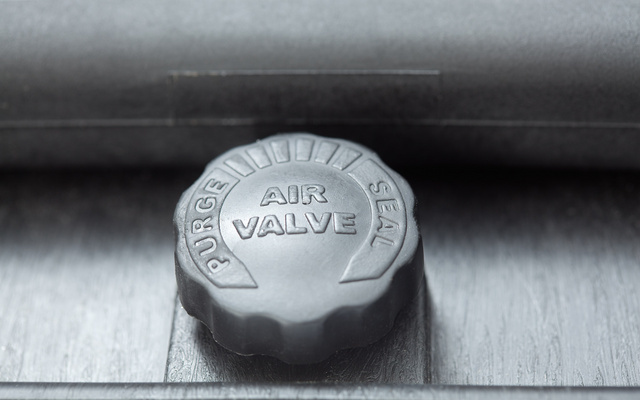 Manual pressure valve due to possibility of the auto (osmosis membrane) pressure valve jamming due to fine dust. Stackable ribs, more locking points than Pelican, and more. I have always been a Pelican guy for all my gear that needs hard cases – how would you rate Explorer versus Pelican? I do not know. Externally, they seem similar. A friend has two Pelicans, I’ll check them out. The obvious difference I see is it seems to be missing what the newer pelicans have, the metal reinforcing the lock points. That prevents someone from just carving out the locks with a pocketknife. Which you can on my old Pelican 1750. I’m going to have to check these out! … and Baskin Robbins: “Explore our 39 flavors…..” Google is pretty stupid sometimes. Wow, I bet you are going to get a lot of attention (for the contents) when you crack that baby open at the range! 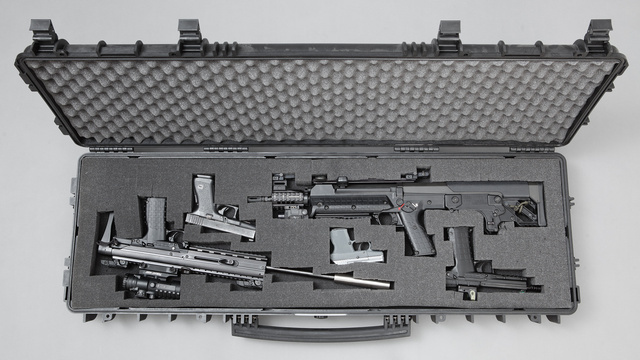 One of my best firearms investments was my Storm case. Like a pelican but better. It looks pretty comparable except it has latches on the ends. Come to think of it I need to get around to making some custom foam cutouts for the inside. My rule of thumb is: any product whose website takes me more than 2 clicks to find a price list is not one I’m interested in. But in trying to find prices, I did find an interesting picture on the last page of their catalog–some jihadi-looking fellow in a man-dress holding an AK. Not sure who they’re marketing to there but I think I’ll stick with Pelican, thank you. LOL! I didn’t scroll all the way to the last page. The guy in the man-dress definitely looks very out of place among all the pics of Special Forces and Bomb Squad guys. Maybe he’s Lawrence of Arabia’s grandson. Anyway, he has good taste in both gun cases and vehicles – a late model 70 Series Land Cruiser, but it has some rash, maybe from colliding with a camel….. When I travel with firearms, i’ll usually have them broken down in a smaller hardcase, inside an old duffel bag. The TSA really doesn’t care about you, or your luggage, and airport security is terribly lax in terms of baggage theft. Ask me how I know. And unless you’re 100% sure that the case will maintain temperature, humidity, and pressure, your optics could, in fact, have a zero shift during travel. That possibility combined with the likleyhood of theft means I always travel with my optics in carry on. Corollary to the two click rule for finding a price: If all of the places inside those two clicks say, “contact us for prices/quotes” I can’t afford it anyways. While at SHOT, if you had gone to any of the travel case booths, you would have been able to buy most of the cases on display. You just can’t pick it up until the end of the last day. Just a caution: make sure the foam is in the case when you pick it up. A few years ago, in the rush to get out the door, I failed to open the green Pelican 1700 I bought. When security had me open it outside the hall door, I discovered the foam was missing. Security refused to allow me to re-enter without a booth ID. Got the run-around on the phone. Basically, I was told that since I bought it from the LE/.mil group, and I wasn’t, that Pelican couldn’t help me. Obviously, that was my last Pelican purchase! Pelican bought Storm and Hardigg, so they are no longer competing with them. I guess if you can’t beat them, buy them out. it works best if you buy a second sheet that is solid, not precut, with each new sheet for a different gun layout. You want to glue the cutout sheet to an underlayment sheet for stability of the contents. I’ve tried leaving the cutout section loose from the bottom piece, but results were sub-optimal. Pick n pluck foam is quick and easy to fit gear, but doesn’t give the stability you would prefer when mixing heavy and (relatively) delicate gear together. If you have the option, always go for solid foam, and cut for a snug fit. If not, you might try gluing the remaining blocks together for increased rigidity. You can also use the pieces you removed to fill in gaps. Just cut to size, and glue in place.